As a child, it's hard to think of anything I'd rather have eaten less, than seafood. This was partly due to the highly over-processed, genuinely fishy smelling, fried sticks of mystery 'fish' my Elementary cafeteria served up weekly. It was also in part, thanks to the chunky and generally unappealing Tartar Sauce my father would glop onto his fish at the dinner table. But, most of all, it was the concept of eating a 'fish', itself. I'd sit there with my Little Mermaid coloring book, in my mother's doctor's waiting room and stare with bug eyes at the alien like creatures peacefully swimming through the tank. And nothing scrunched my nose up faster than the image of a bug like shrimp, complete with feelers, bouncing around like a seahorse one minute- then fried with fanned tail the next. Everything about seafood gave me the willies, and poor Momma just couldn't seem to fool me when it came time to play dinner peek-a-boo. Somehow, I managed to blossom into a seafood loving adult, though I'm not sure exactly where it happened. I think it started somewhere with an endless plate of Popcorn Shrimp at my father's favorite restaurant, Red Lobster. Ironically enough, just months before this I recall a fairly traumatic experience, visiting my Massachusetts grandparents, where I drew my table's ticket from a raffle and won 10 live Maine Lobsters. A truly joyous, and savory, event for my party, but one that would haunt me for years as I watched those red creatures loaded into their crates, followed by my grandmother's boiling pot! In any case, it's quite funny to think I've since instituted a yearly tradition of taking my father to the annual All You Can Eat Shrimpfest, where we gorge ourselves in fierce competition much to the waiter's dismay. But I am still very much picky about what does on my plate and in my mouth. That's why my family has trusted the Gorton's Fisherman for over a decade. Gorton's Seafood has an impressive commitment to sustainability and quality they proudly stand behind. Their extensive line of frozen seafood spans Grilled and Battered Shrimp, Fillets, and Sticks in everything from single serve to resealable family size portions. With meal ready products, such as Salmon Lemon Butter Fillets and Roasted Butter and Grilled Garlic Tilapia, it's not just fried and battered seafood. And that brings me to the most important aspect; Back on Track meal planning in 2014. Last year I put myself on a sugar restrictive diet and dropped a considerable chunk of weight. This year I'm focusing on getting heart healthy with daily activities like extended walks, and careful meal planning. Often, in the afternoons, I will skip lunch altogether, which leaves me filling up on heavier foods at dinner, and feeling weighed down. To help solve this I've been reaching for some #RealFabulous Grilled selections from Gorton's. Whether it's the easy to prepare Signature Grilled Fillets, or the flavorful tail-on Grilled Shrimp, I know I'm eating all natural, MSG and filler free goodness. 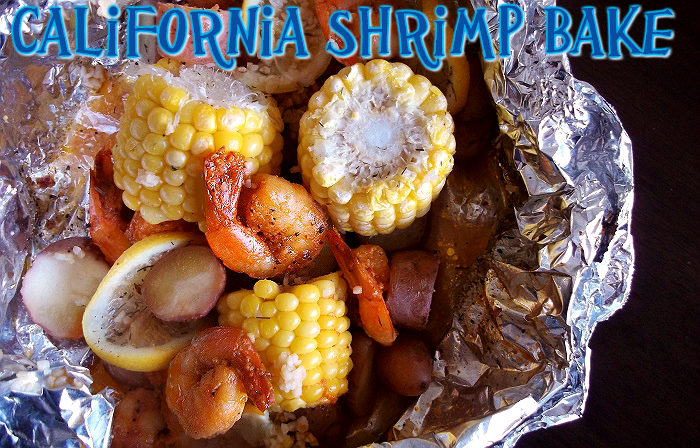 I've even developed a Southern California take on my family's classic Clam Bake- The California Shimp Bake, which can be prepared in less than a half hour, in the oven. The secret is in the carefully seasoned, then double layer folded, foil pouch which encases the ingredients in butter and flavor as they bake alongside each-other in the oven. 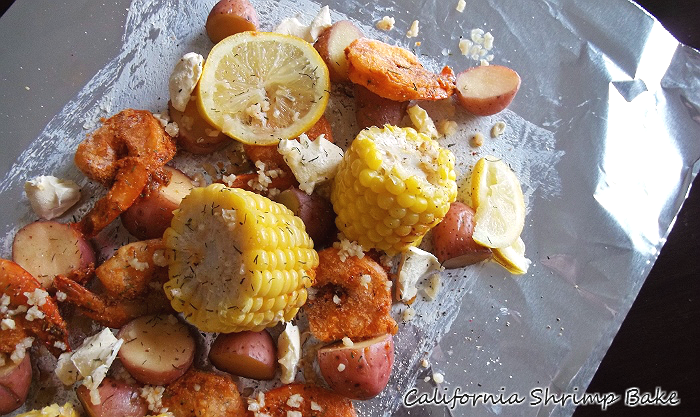 This recipe is even grill and camping friendly! 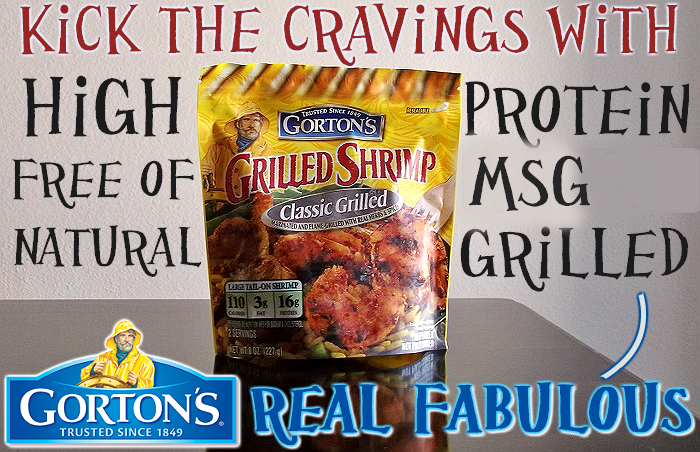 Grab a coupon for your favorite Grilled Gorton's product online. I love indulging in seafood, but I hate having to compromise fried fast food options or expensive fresh market selections. 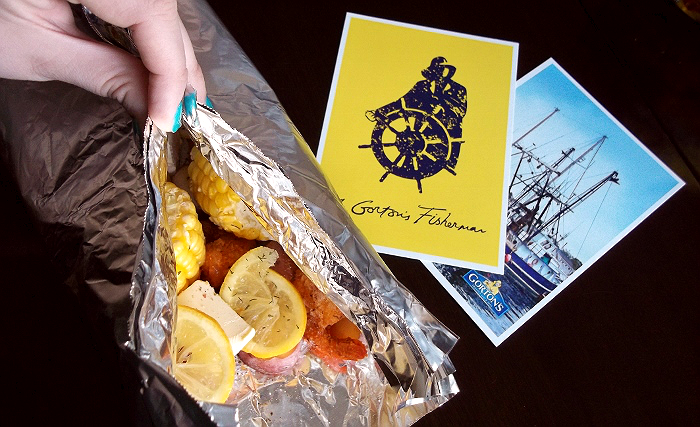 Gorton's allows me to keep delicious seafood varieties on hand for preparation at a moment's notice; and it's hard to beat the pre-seasoned and ready to bake flavors they offer. The brand is so committed to getting the word out about their 'Back on Track' ready Grilled varieties that they're hosting a special #RealFabulous (shouldn't that be 'reel'?) Sweepstakes with $1000 makeover grand prize, and several weekly prizes all month long. 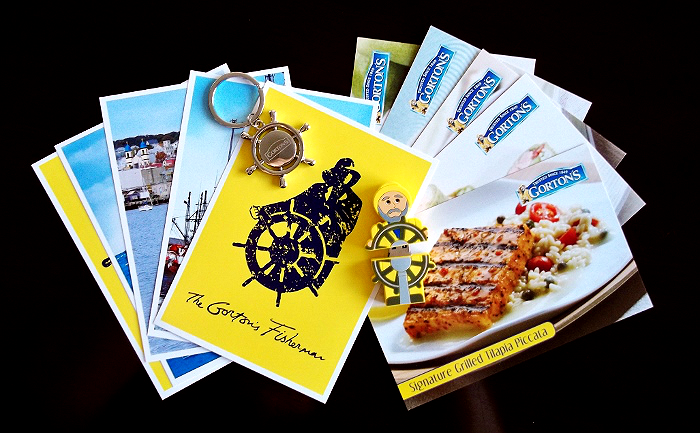 Head on over for your chance to win free product and more, and be sure to enter our giveaway below for a chance at your own mini- Gorton's prize bundle. What Daughter Says: Enjoy the foods you crave most without all the excess, choose Grilled Gorton's varieties for flavor and ease this new year. One Momma Told Me reader will win a Gorton's #RealFabulous Prize Pack including 2 FREE Product Coupons, Oven Mitts, a Spatula, and Recipe Cards. 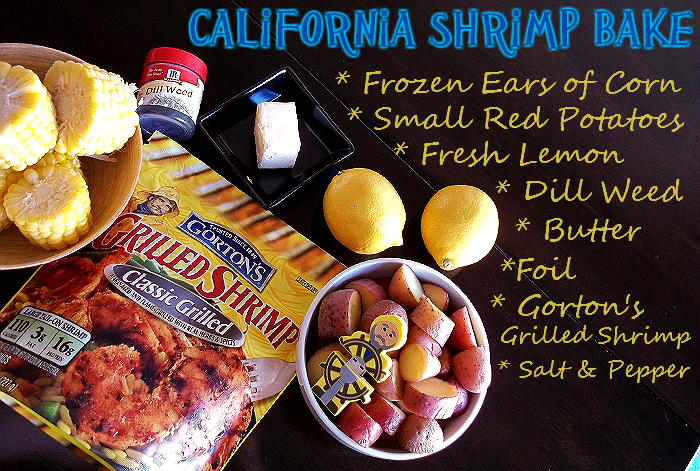 *** Click here for printable California Shrimp Bake recipe. 1.) Prepare 4 18" x 18" Sheets of Foil. Layer two sheets atop each other for each individual bake. Grease the center of the foil with margarine or a stick of butter and sprinkle with fresh ground salt and pepper to taste. 2.) Place 8-10 Gorton's Frozen Grilled Shrimp in the center of the foil, spaced evenly. Evenly distribute potatoes, corn, lemon, and butter among both foil surfaces. Sprinkle with dill and minced garlic if desired. 3.) 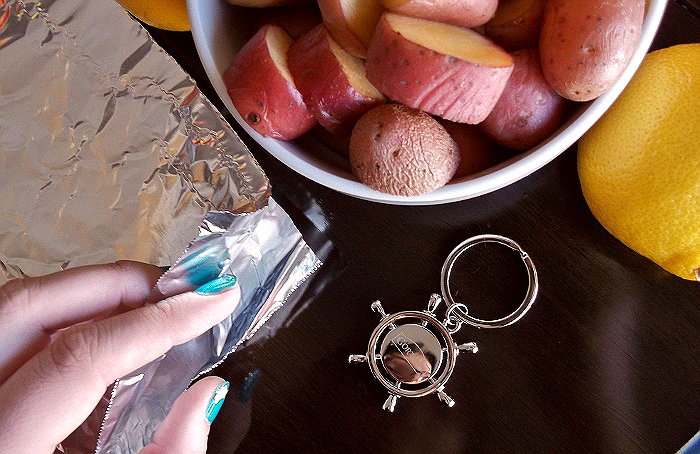 Bring 2 edges of foil together, fold down and curl in remaining two edges, as to form a pouch. Place pouches on a baking sheet and bake for 20-25 minutes, or until potatoes are tender and shrimp are opaque/pink. 4.) Open pouch and carefully place vegetables and shrimp in a serving bowl, pouring 'sauce' over. Serve and enjoy. I want to try their beer battered items, particularly the shrimp. The grilled tilapia really appeals to me, but I love all kinds of seafood. The dish you made also looks fantastic. Thank you. We love the Gorton's popcorn shrimp. Makes an awesome snack. I think the lemon butter grilled fish sounds wonderful. I like the Garlic Butter Shrimp Scampi. I love the popcorn shrimp and my kids like the extra crunchy fish sticks! I'd really love to try the skillet crisp tilapia garlic & herb. The crunchy butterfly shrimp sounds delicious! Lemon Butter Grilled Salmon looks good to me! Thank you for the nice giveaway. I think I would like the grilled salmon the best, my family loves salmon! The grilled salmon is yummy! The grilled tilaipa yummy !! I love shrimp most any way and style from scampi to fried to grilled, to cocktail shrimp, I also love scallops and would love to try them. I like the Butter & Garlic Tilapia. I love the Garlic Butter Shrimp Scampi and the Garlic Grilled Shrimp. I want to try the tilapia. I'd love to try the Skillet Crisp Tilapia in Garlic & Herb. The Classic Grilled Salmon sounds best to me! Im a fan of the Grilled Shrimp products - the Cajun flavored one is REALLY good. Surprised me.